Did you know that ‘Polynesian’ refers to the Marquesans, Samoans, Niueans, Tongans, Cook Islanders, Hawaiians, Tahitians, and Maori. Tattooing was a way to express a person’s bravery because of the painful method by which it was done. Traditional tattooing tools were a comb of needles which had been carved from either bone or tortoiseshell secured to a wooden handle. The needles were then dipped into a pigment made from soot from burnt candlenut mixed with either oil or water. After placing the needles onto the persons skin and the handle was then tapped with a second stick, which caused the comb to pierce the skin and insert the pigment. The name tatau actually comes from the sound of this tapping. The whole story of a person’s life could be understood by reading their tattoos and each tattoo had great meaning. 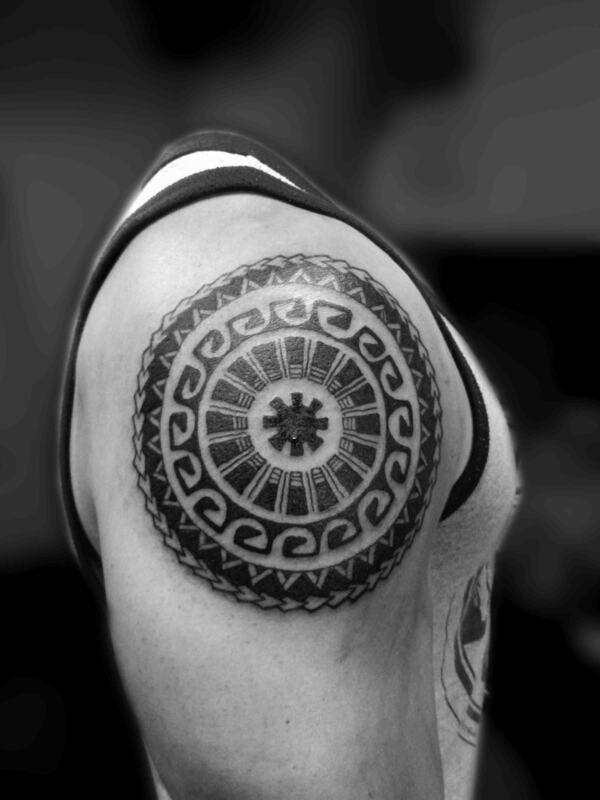 And were seen as a symbol of wealth, strength and power so the more tattoos the man had the more he was respected. Which meant that the chiefs and warriors had to have the more elaborate tattoos. Men without any tattoos were subsequently despised, whereas those whose bodies were completely tattooed – the to’oata – were greatly admired. Women’s tattoos were usually placed on hands, arms, feet, ears and lips, whilst women of higher rank or wealth may also have their legs tattooed. Tattooing would historically start with the onset of adolescence marking the passage between childhood and adulthood; with girls having their right hand tattooed by the age of twelve allowing them to not only prepare meals but also with the embalmment of the dead. Many of their tattoo designs had a symbolic meaning, with Sea Turtles representing a long and fertile life and Geckos having supernatural powers, especially the green gecko which was said to bring illness and bad luck. The shark was considered sacred, resembling the powerful creature that would protect its wearer. Shells, which was once a form of currency, represents wealth and fortune. The Hibiscus flower with its delicate structure and short life is associated with fun and summertime, with Orchid’s thought to symbolize love, and magnificence.